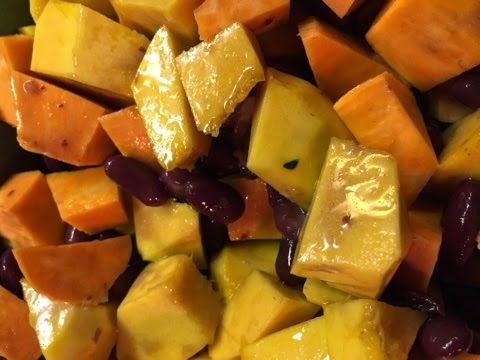 Sweet Potato, Squash and Kidney Bean Salad…? As a lover of sweet potatoes and squash, and a lover of trying new things, I made this dish the other night from pure inspiration. I'm sure it has a proper name, but I'm calling it "Sweet Potato, Squash and Kidney Bean…Salad ?"